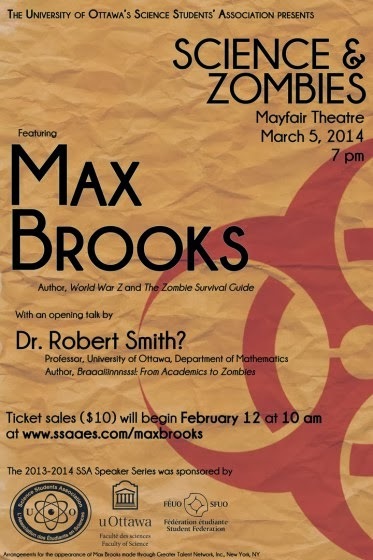 Science and Zombies- Max Brooks at the Mayfair! 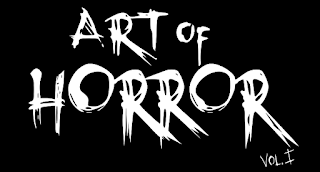 "The University of Ottawa Science Students' Association presents Science & Zombies! This event will feature a live presentation and a book signing session with Max Brooks (author of World War Z and The Zombie Survival Guide), with an opening talk by Dr. Robert Smith?, a University of Ottawa professor who makes mathematical models of infectious diseases (including zombie outbreaks). Tickets will be sold at www.ssaaes.com/maxbrooks starting February 12th at 10am." Ya.... you know you wanna.